A film based on Mintu Gursariya, the writer of a book, ‘Dakuan da Munda’ (Bandits’ Son), will hit the silver screen soon. His book has become popular among the Punjab youth. During his recent visit to the city, he talked about the movie. 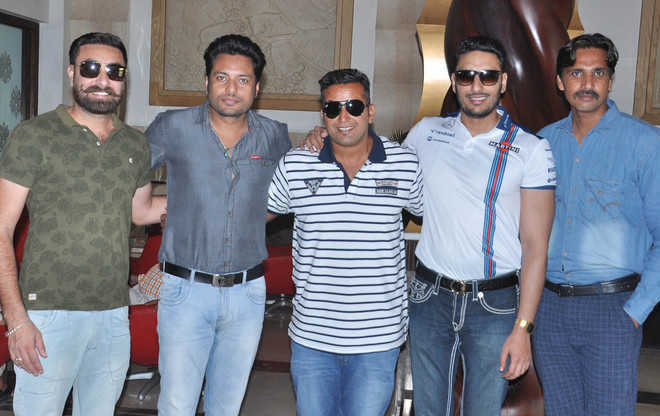 He was accompanied by actors Dev Kharoud, Lucky Dhaliwal, Jagjeet Sandhu and Sukhdeep Sukh. “Coincidentally, the Dream Reality Movies production house and my thoughts were same. We decided to make a movie based on my book,” Mintu added.